Cranes are widely used in construction sites, and industries for loading and unloading heavy goods from one place to another. Crawler crane is one type of crane offered by us, that can be used for shifting heavy loads safely. This type of material handling equipment is purchased from international markets after carefully accessing its condition, internally and externally. It has massive hoist height, and is easy to set up and flexible in use. 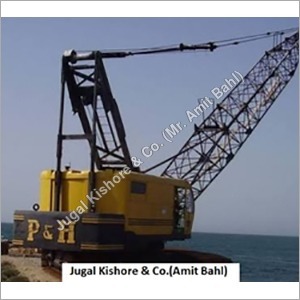 Purchasing used crawler crane is better option that going for a new one. As it can also provide same functionality, carry heavy loads and work for same long hours, as the new one can do. Many companies are dependable on this type of crane for their heavy good lifts. This crane is also provided in different lifting capacities.